Legendary drummer, songwriter and producer best-known as a member of Guns N’ Roses, The Cult, Velvet Revolver and Slash’s Snakepit. Matt released his second solo album entitled Matt Sorum’s Fierce Joy as well as “Stratosphere”. Right now, he’s producing Ace is High’s highly anticipated debut and working on his non-profit Adopt the Arts. 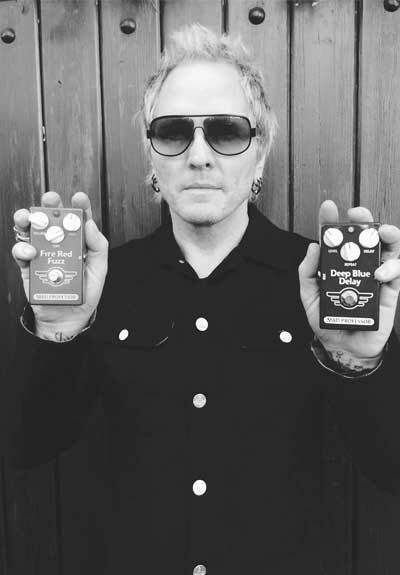 Matt runs a high-end studio called the Drac Studios that has been used by many A-list players like Billy Gibbons, Billy Idol, Slash, Dave Navarro… Mad Professor pedals are part of his studio gear.